Have a Halloween or fall party coming up? 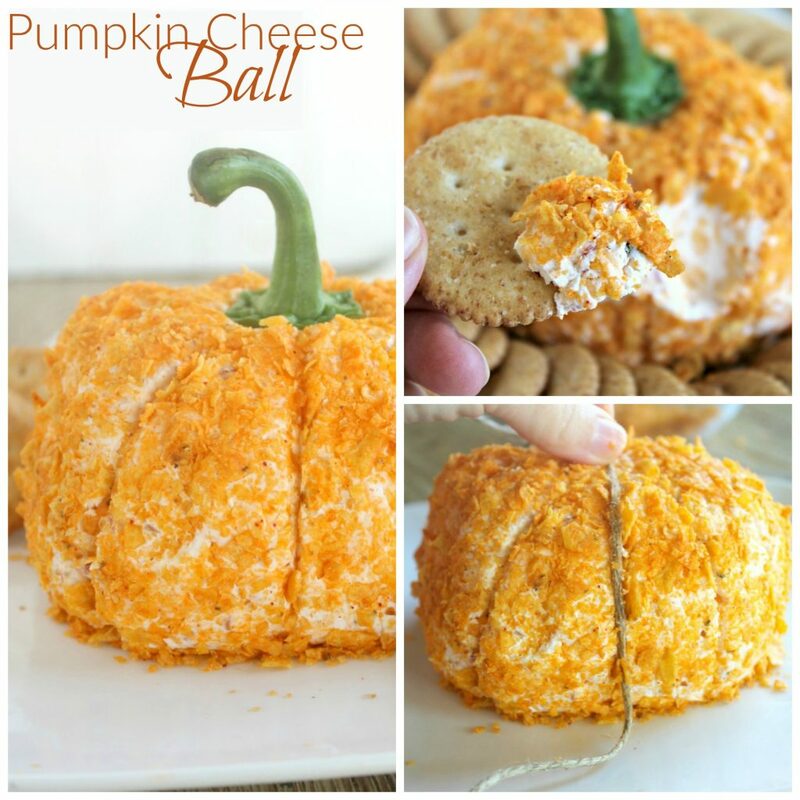 This Pumpkin Cheese Ball is so easy to put together and it makes the perfect centerpiece for your guests! Blend together the cream cheese, cheddar cheese, onion, and salsa. Scoop onto plastic wrap and use the wrap to form the mixture into a 5-inch pumpkin-shaped ball; chill at least 2 hours (I chilled mine over night). To serve, unwrap, roll in crushed nacho-flavored tortilla chips and press a bell pepper stem into the top. To make some pumpkin lines, I used some string, held it at the "pumpkin stem and pressed it into the pumpkin. This is so cute! I'll have to make it for my husband - he really loves a good cheese ball and crackers! This is so cute, and super yummy!!! Thanks for sharing it with our Bunco group!! I can't wait to make it for my party this weekend!!! How many days can you make this in advance, and do you simply refrigerate it if made in advance? Thanks so much. Super cute! You can make this about 2-3 days in advance and store in an airtight container in the fridge.